We began scrutinizing New Testament texts that "kingdom now" theologians employ in an attempt to argue that the kingdom is a present reality in order to show that none of these passages teach a present form of the kingdom. We have examined the typical texts from the Gospels, Acts, Paul's letters, the general epistles, and Revelation used by "kingdom now" theologians. At this point, we largely find ourselves in agreement with the following statement by E.R. Craven. 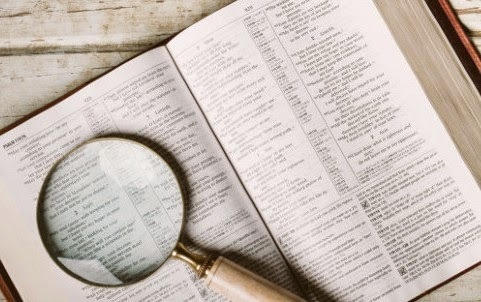 Concerning "the passages which have been referred to as proving the doctrine of a present establishment" and "those passages which, it is alleged, logically imply a present establishment of the Basileia," Craven notes, "There is no critically undisputed passage in the Scriptures which declares, or necessarily implies, even a partial establishment in New Testament times." In this and the next installment, we will begin to take a look at some other miscellaneous arguments used by "kingdom now" theologians. For the sake of discussion, let us assume that Bruce Waltke, Knox Seminary, and Gary Burge are all correct in their assessment that the New Testament is silent on the matter of Christ's future earthly rule. Is it true that subsequent silence on a prior subject is the same thing as a cancellation of it? Such thinking represents a logical fallacy known as an "argument from silence" where it is incorrectly assumed that silence on a matter is the same thing as a cancellation of it. For example, suppose I, as a professor, inform my students on the course syllabus of the date of the final exam. If I fail to mention the final exam's date again throughout the course of the semester, would my students be justified in concluding that the final exam has now been cancelled? In other words, is subsequent verbal silence about the final exam throughout the course of the semester the same thing as canceling what the original syllabus indicates concerning the final? Of course not. The syllabus says what it says and is to be followed unless I as the professor expressly alter it verbally in the presence of my students. In the same way, it cannot be presupposed that New Testament silence somehow cancels Old Testament predictions and promises. Thus, it is incorrect to assume that God must declare something twice, both in the Old and New Testaments, for it to be valid. God need only articulate something once for it to be valid. If God declares His earthly kingdom promises in the Old Testament alone, that is enough to establish their validity. This is especially true considering that it is impossible for God to lie (Num. 23:19; Titus 1:2; Heb. 6:18). Furthermore, the "kingdom now" theologian is wrong in assuming that the New Testament is completely silent on the subject of the restoration of Israel's terrestrial kingdom promises. While not emphasizing this truth to the same degree as is found in the pages of the Old Testament, the New Testament still affirms this truth in several places. For example, Luke 21:24 says, "...Jerusalem will be trampled underfoot by the Gentiles until the times of the Gentiles are fulfilled" (italics added). The mere existence of the preposition "until" (achri) implies a time when Gentile dominion over Jerusalem will come to an end and Israel will be restored to her rightful place of rulership over the nations. Other verses revealing a future earthly kingdom will be highlighted in our next installment. E.R. Craven, "Excursus on the Basileia," in Revelation of John , ed. J. P. Lange (New York: Scribner, 1874), 95. Bruce K. Waltke, "Kingdom Promises as Spiritual," in Continuity and Discontinuity: Perspectives on the Relationship between the Old and New Testaments , ed. John S. Feinberg (Wheaton, IL: Crossway, 1988), 273. Bruce Scott, "Christian Anti-Zionism: On the Wrong Side of History, Justice, and the Bible," Israel My Glory , January/February 2014, 33. Arnold Fruchtenbaum, "Israel's Right to the Holy Land," online: http://www.pre-trib.org/articles/view/israelsright-to-promised-land, accessed 4 February 2015, p. 21. Paul D. Feinberg, "Hermeneutics of Discontinuity," in Continuity and Discontinuity: Perspectives on the Relationship between the Old and New Testaments , ed. John S. Feinberg (Wheaton, IL: Crossway, 1988), 124. J. Randall Price, The Temple and Bible Prophecy: A Definitive Look at Its Past, Present, and Future (Eugene, OR: Harvest, 2005), 596.